Attorney John R. Lenahan, Jr. has been named to Best Lawyers In America each year since 1995 and has enjoyed a highly successful, distinguished legal career. John Lenahan, Jr. has dedicated his professional practice on assisting the seriously injured. He has strong interests in cases in the fields of Personal Injury, Motor Vehicle/Truck Accident Litigation, Products Liability and more. John R. Lenahan has had many significant cases over his career, including the internationally known singer, Gloria Estefan, who was in a bus/truck collision. Through the years Attorney Lenahan has been successful in winning multi-million dollar verdicts and settlements for seriously injured people. An abbreviated list of John R. Lenahan's distinctions and memberships including being named in The Best Lawyers In America**, a national publication, as well as a Pennsylvania Super Lawyer ® *** in each year the list has been published in Philadelphia Magazine. Super Lawyers are among the top 5% of lawyers in the state as chosen by their peers. The law firm of Lenahan & Dempsey has a total of five lawyers named in The Best Lawyers In America; Lenahan & Dempsey also has a total of eight lawyers honored with the designation of being Pennsylvania Super Lawyers. 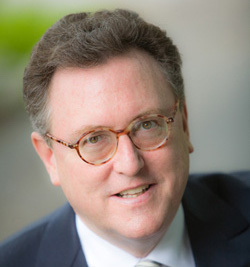 John R. Lenahan is the President and Chief Executive Officer of Lenahan & Dempsey. He lectures frequently on trial advocacy techniques and has authored numerous articles on the effective handling of major personal injury cases. He has been a guest speaker for the Pennsylvania Bar Institute, the Pennsylvania Trial Lawyers Association, the Trial Advocacy Foundation and the State Conference of Trial Judges. He has been certified as a Civil Trial Specialist by the National Board of Trial Advocacy since 1983. He is also listed in the Bar Register of Preeminent Lawyers and is a member of the International Society of Barristers. For a complete biography of Attorney John R. Lenahan, Jr, please click here. *** Full information on Super Lawyer selection criteria can be found here.